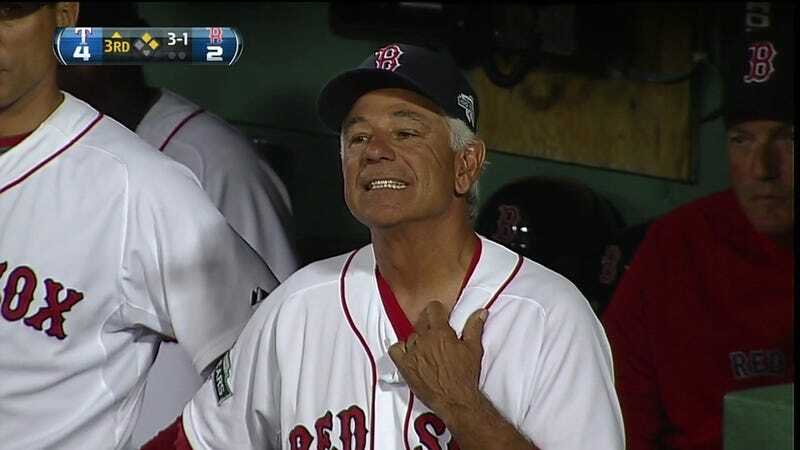 Former MLB manager and current NBC baseball analyst Bobby Valentine opened up to WFAN today, expressing exasperation at Mike Piazza's Hall of Fame denial and suggesting that he suspected at least one player of steroid use as early as the 1980's. Valentine alleged that he suspected Ruben Sierra of being on steroids in the late 80's when the Rangers star showed up at spring training noticeably larger while knowing the outfielder wasn't much for lifting weights. Valentine stated to WFAN that he attempted to investigate what Sierra was up to, but was told to stop. When pressed for names, the then-Rangers manager declined to answer—stating that "it was a long time ago." He opened by dismissing claims Mike Piazza used performance-enhancing drugs as reason for the slugger's exclusion, stating that "for most of the time, nobody even cared; why would anyone take notice?" The WFAN interview took a few odd turns; Valentine alleged all three of this year's HOF inductees "manipulated the system," claiming Frank Thomas drew walks by "jumping out of the way from inside pitches" while Maddux found success by "using pitches that moved." He also chimed in on our ballot acquired from Dan Le Batard, explaining that while he enjoyed the transparency of our process it continued a trend of making the Hall of Fame voting about the voters, not the players.